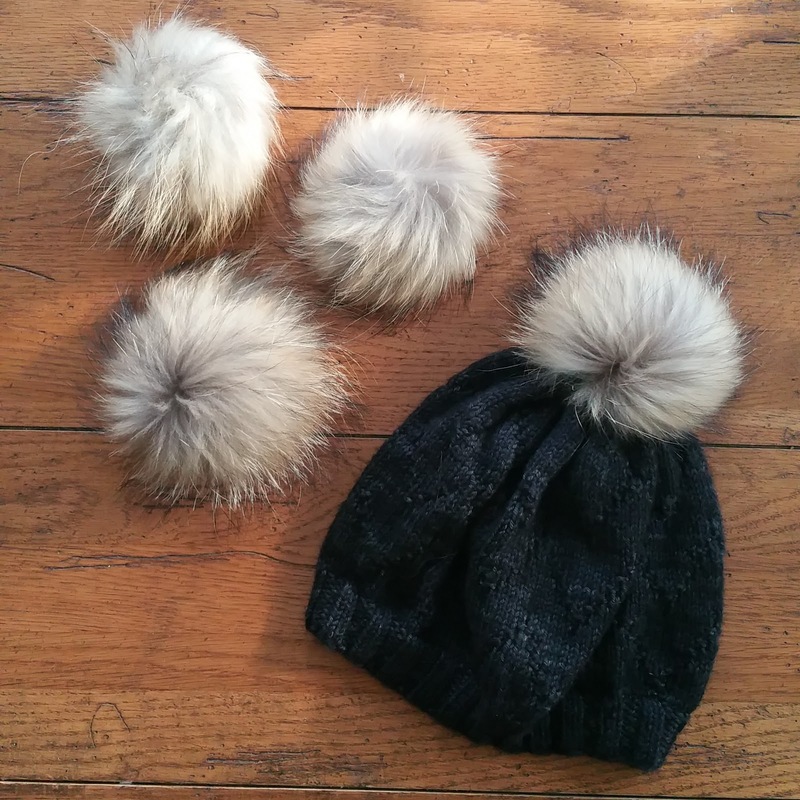 Way back in November I ordered pompoms for the hats that I knit for the Trio (+ me!) . They finally arrived yesterday and I attached them to our hats and we love them! 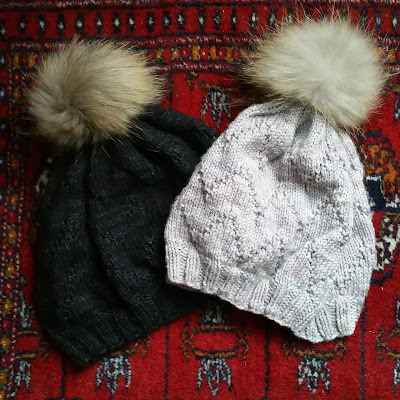 Little man's hat is missing, so I attached his pom to my yarrow bloom hat for the time being.